Using newly available data, the PRESS 2017 provides a comprehensive snapshot of resources for statistics, showing that financing remains too modest to match targets and expectations. The report calls for more support to build capacity of National Statistics Offices (NSOs), including through technical and other training. 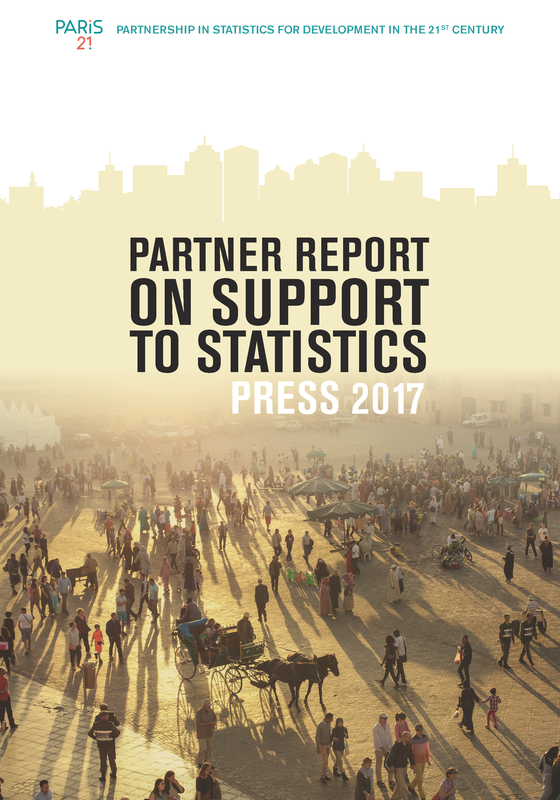 More support to statistics are on the horizon with two positive trends found by PRESS 2017: the increase in the percentage of official development assistance (ODA) allocated to data and statistics, and the expansion and diversification of the pool of donors (i.e. Gates and Hewlett Foundations). 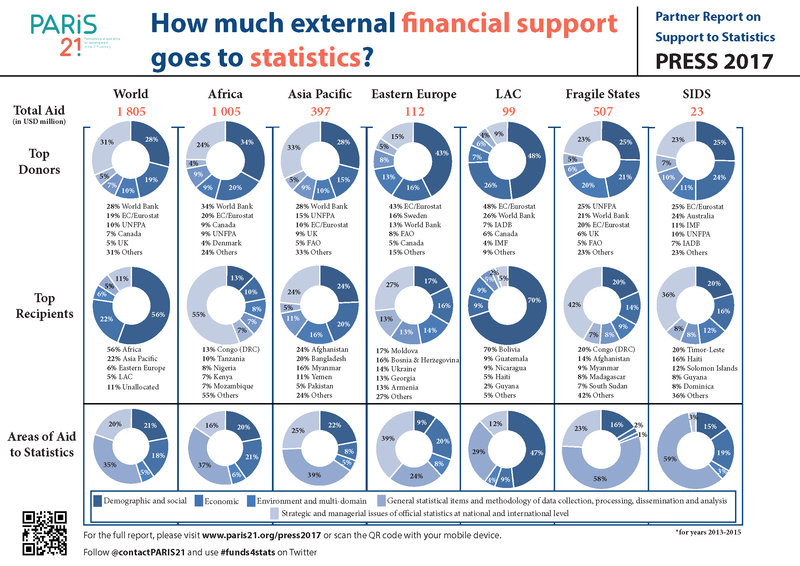 So, how much financial and technical support are developing countries getting? 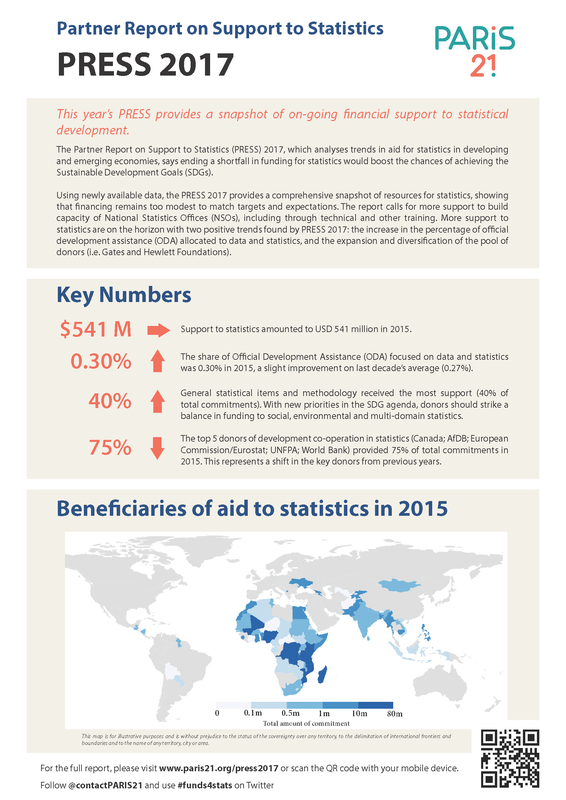 Support to statistics amounted to USD 541 million in 2015. The share of Official Development Assistance (ODA) focused on data and statistics was 0.30% in 2015, a slight improvement on last decade’s average (0.27%). General statistical items and methodology received the most support (40% of total commitments). With new priorities in the SDG agenda, donors should strike a balance in funding to social, environmental and multi-domain statistics. 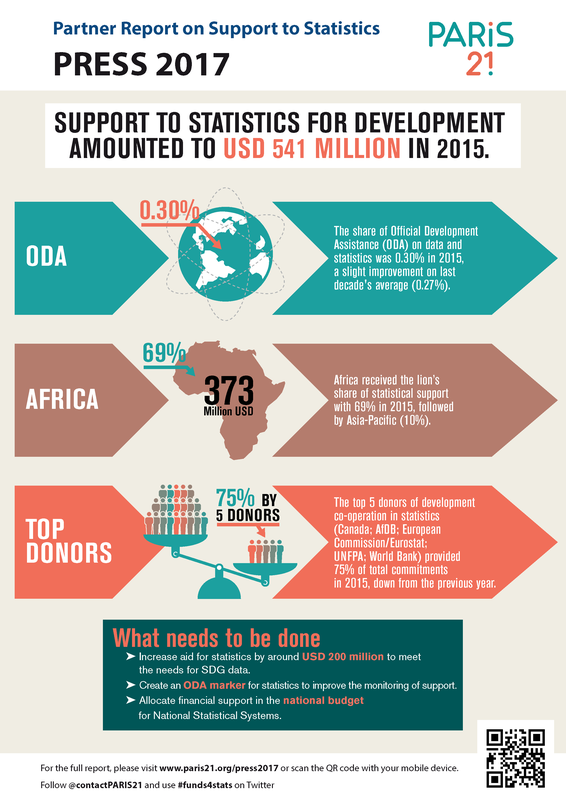 The top 5 donors of development co-operation in statistics (Canada; AfDB; European Commission/Eurostat; UNFPA; World Bank) provided 75% of total commitments in 2015. This represents a shift in the key donors from previous years. Explore the country factsheets of all beneficiaries from 2006 to 2015! Who were the main beneficiaries in 2014... ?